For those of you who don’t know me personally, my name is Kelly Garner. I was born and raised in Florence, Alabama, and my life was just like everyone else’s around me … until I developed type 1 diabetes in 1975 when I was only nine years old. Basically, type 1 diabetes is a condition in which your own body attacks the beta cells in the pancreas, keeping it from being able to produce the insulin needed to process sugar in the blood. It might not sound like a big deal, but without the right balance of blood sugar in your system, you can go into a coma and even die if not treated. Those with diabetes have to check their blood sugar levels regularly and understand some of the numbers that are associated with the disease. 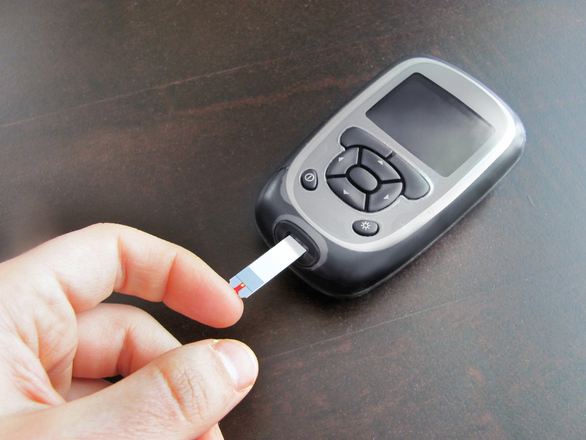 The normal range for blood glucose (blood sugar levels) is typically around 80–125 milligrams per deciliter. When a person drops below 80 mg/dl, it can start a decline known as hypoglycemia or low blood sugar. The opposite of this is hyperglycemia—when the blood sugar begins to climb above 125 mg/dl. When I was diagnosed in January 1975, my blood glucose rose to a whopping 2000 mg/dl and sent me into a comatose state for a couple of days. From those kinds of numbers, I soon realized that my life with diabetes would lead me down a rocky road. Please do not allow me to strike fear in the hearts and minds of those with family members, especially children, who are coping with diabetes as I have. The events that I cover in this chapter are only my life’s events and do not mean that you will go through these challenges I have had to endure, nor should you. Whenever I talk about diabetes, I never let anyone think that they should feel sorry for me. I remind them every chance I get that many people are in a lot worse condition than me. I have lost many friends and family who battled cancer, and some are still in that fight for their life. Diabetes is very much a controllable situation that is maintained by lifestyle choices. Diabetics must put our hearts, minds, and souls into taking better care of ourselves with the right choices. I have had to come to this realization many times—sometimes too late. This, unfortunately, would be one of those moments. The roller-coaster ride that can happen with diabetes has led me around some pretty steep curves in life, particularly the times I’ve hit a low while driving. This is a condition that has gotten many police departments and individuals with diabetes in deep trouble. There is nothing more horrifying than to be accused of being drunk when in actuality you might be in severe hypoglycemic mode.